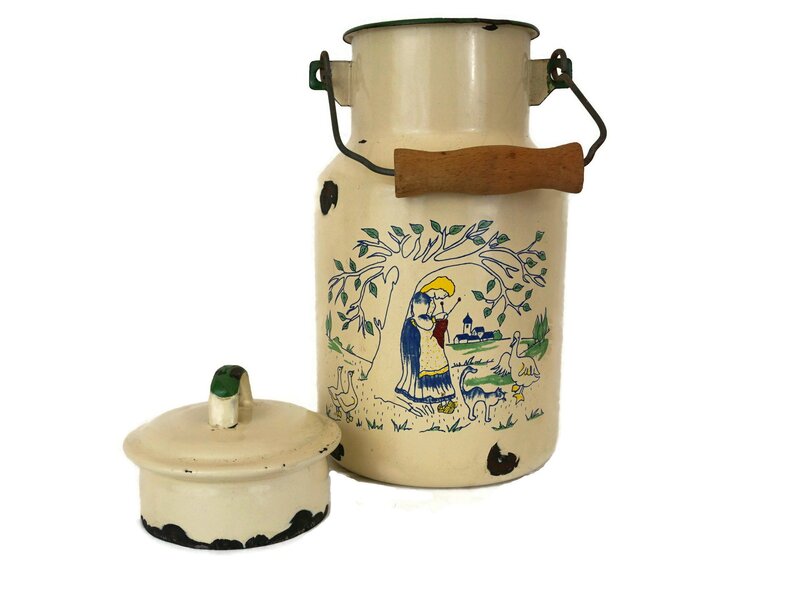 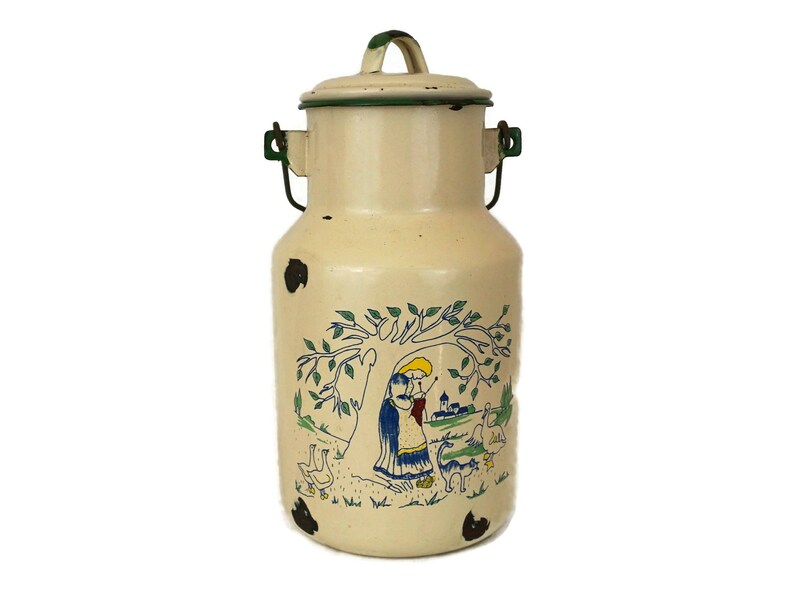 A lovely vintage French enamel milk can dating from the 1970s. 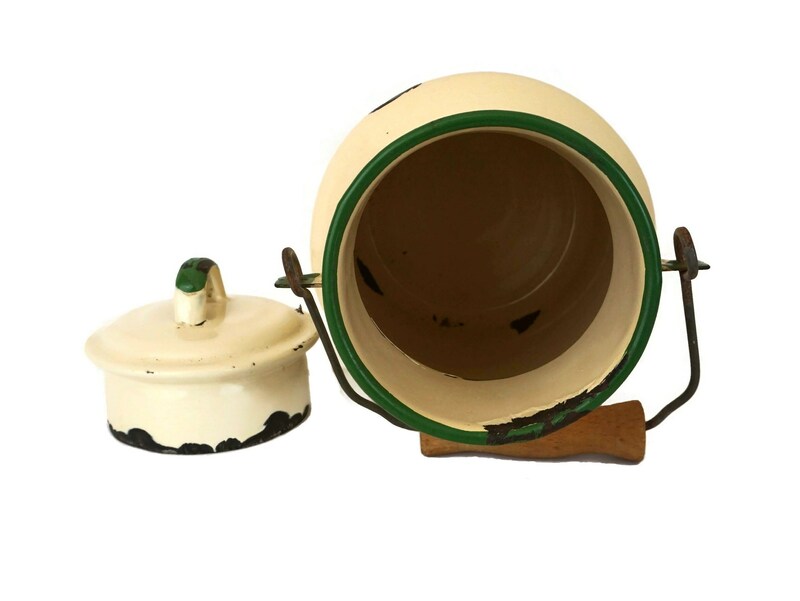 The milk pail has a lid and a wooden handle. 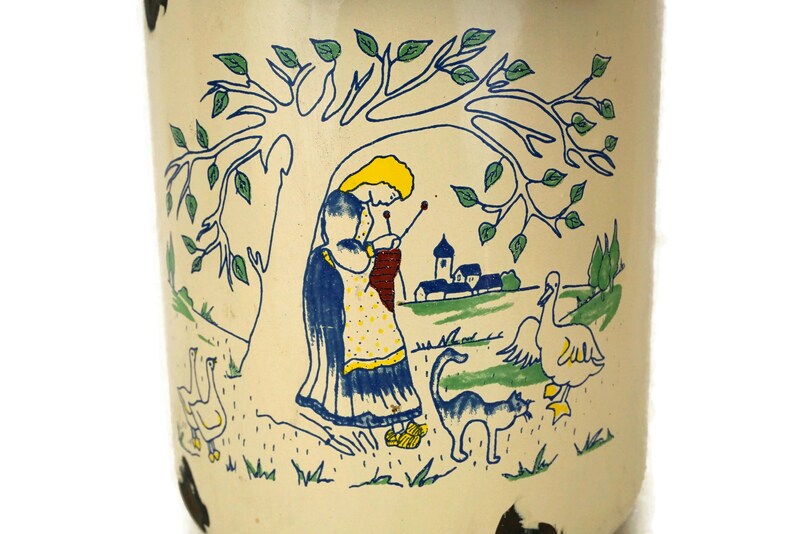 It has been enameled in shades of beige with green accents and decorated on both sides with the charming illustration of a young farm girl knitting against a tree, with a cat and geese. 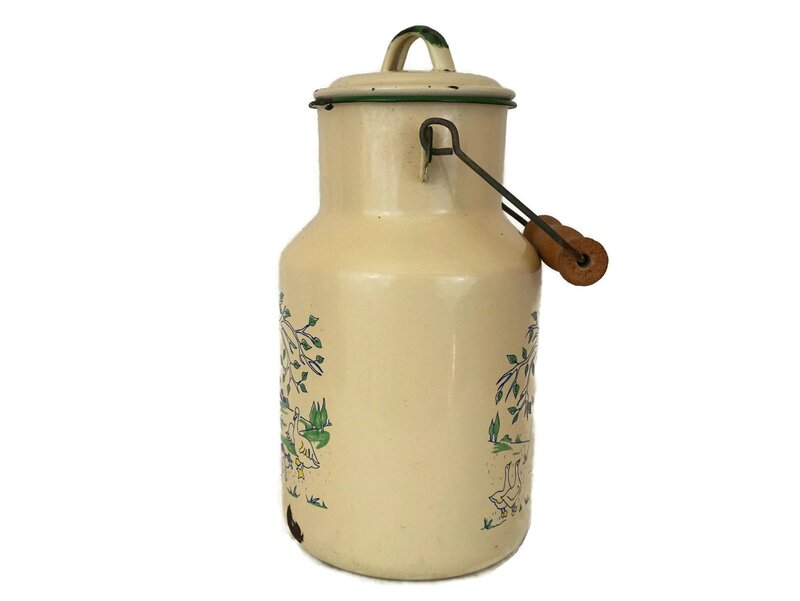 The milk jar would make a perfect addition to your shabby farmhouse kitchen decor or French country decor. 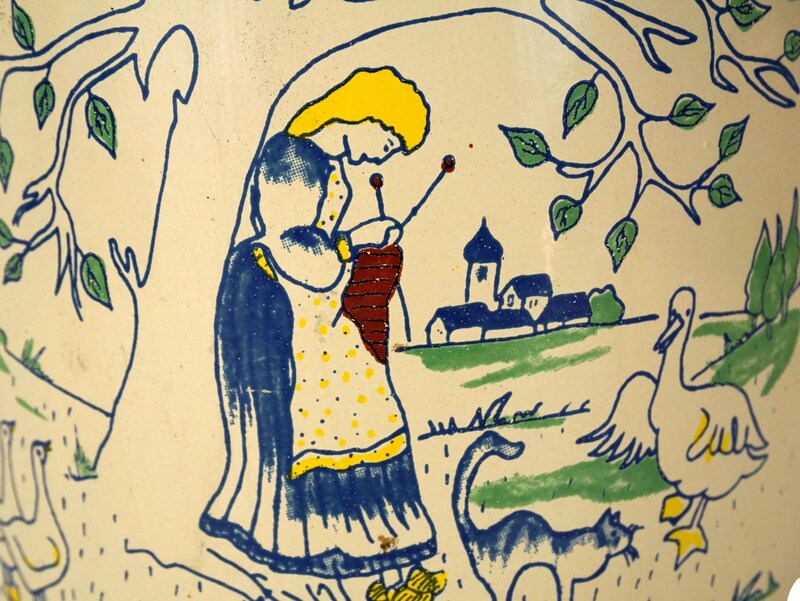 (25 cm x 13 cm). 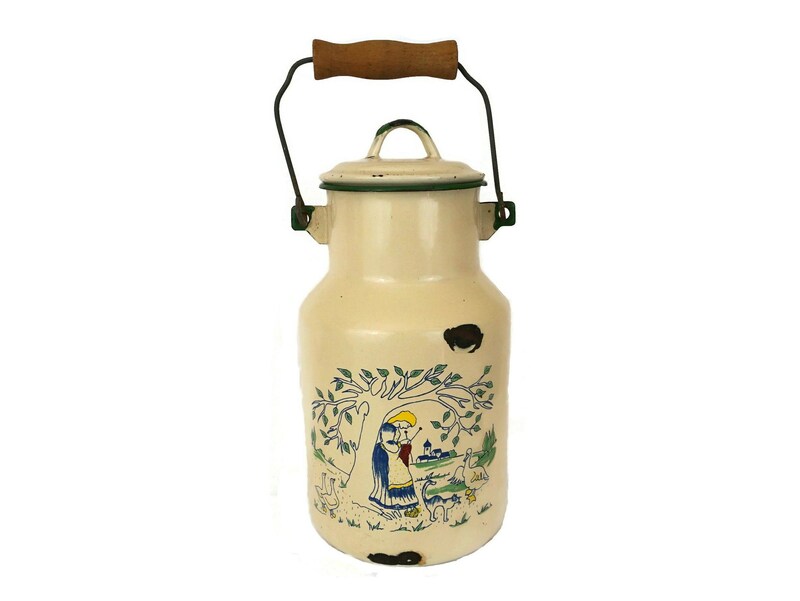 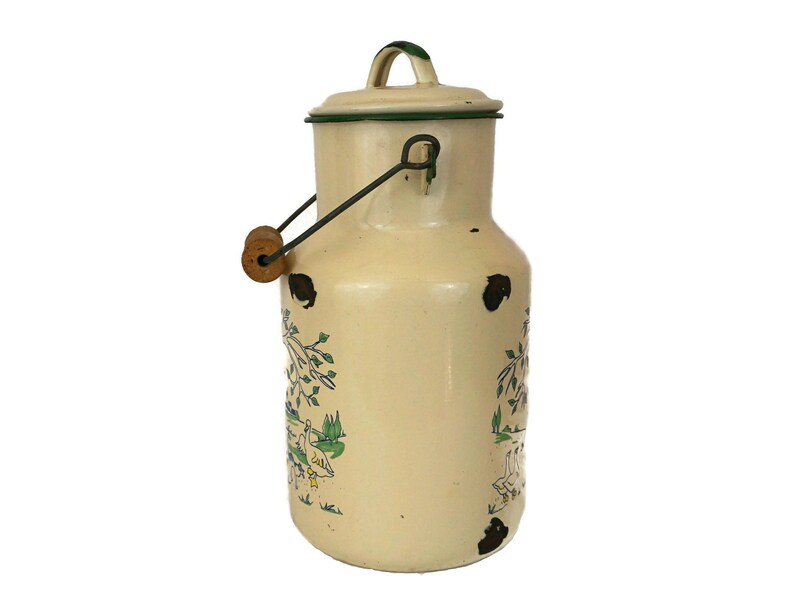 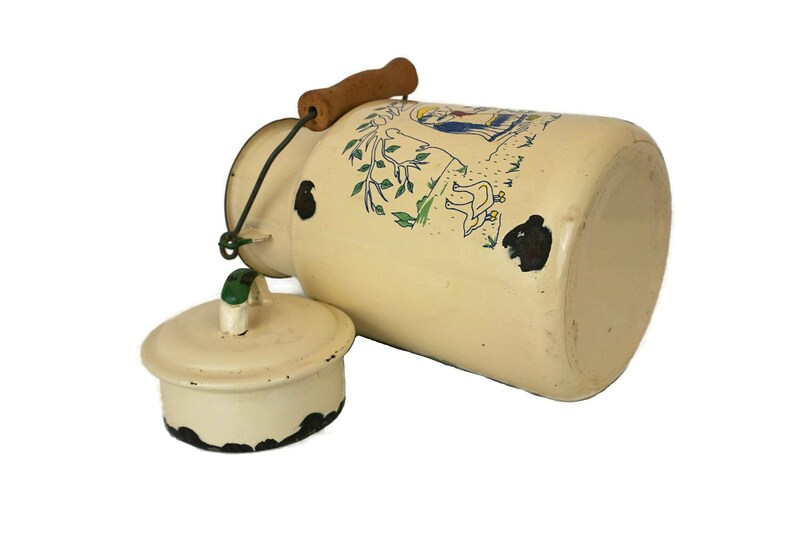 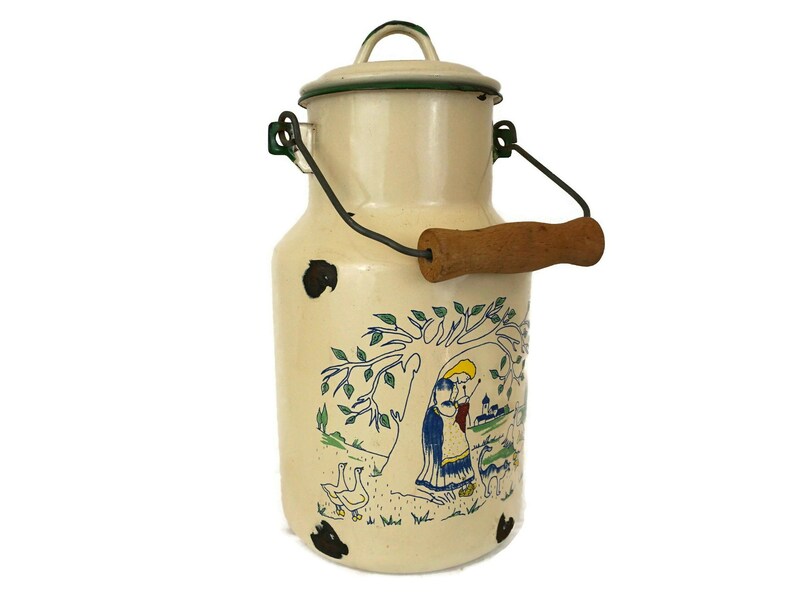 The milk can is in good vintage condition with signs of wear and age including chips and flakes to the enamel in places.